So yesterday we were talking about matchbook collections. About matches as time capsules, touchstones. How they were not only great souvenirs but very handy for lighting cigarettes and temperamental stoves. When my collection of matchbooks was recently dislodged by a closet avalanche, my first reactions was, damn, did I really move a sack of matches across the country? But then I started sifting through them, and, wow, how does a THING give you such a rush of nostalgia? I dumped them out on the dining room table and was all like, hey, Lindsay, remember this place? And remember when we went here? And wait, is this one still open? When did this one close again? On my visit to NYC two weeks ago, I purposely took a three-subway-stop stroll down Broadway, through a neighborhood where I'd worked two different jobs on the same block between Bleecker and Houston (did I really just mentally pronounce Houston "HEWsten" like the Texan city as opposed to HOWsten like the NYC street? I'll never tell...). Back in high school, I used to hang out on the same short stretch of downtown. My friend Rob's dad used to work at a print shop in Noho (can you imagine? a print shop in Noho?) and sometimes we'd go in with him so we could shop for weird clothes at Antique Boutique and Unique, then over to Bubba's near Washington Square for a Ruben lunch. Is Bubba's still there? I'm not sure if I was visualizing the addresses accurately, but it looked to me like Antique Boutique and Unique are now American Apparel stores. Godawful food, great sign. Replaced by a Chipotle. My New York has more layers than a particularly fine wedding cake. If you've lived there for any length of time, I expect yours does too. I've quoted from this Nora Ephron essay in the past, because, well, she hit many, many nails on many, many heads during her illustrious career but none of her bons mot touch me quite as personally as this one, about what it's like to voluntarily exile yourself from NYC and then come back a mere visitor. Things change in New York; things change all the time. You don't mind this when you live here; when you live here, it's part of the caffeinated romance to this city that never sleeps. But when you move away, you experience change as a betrayal. 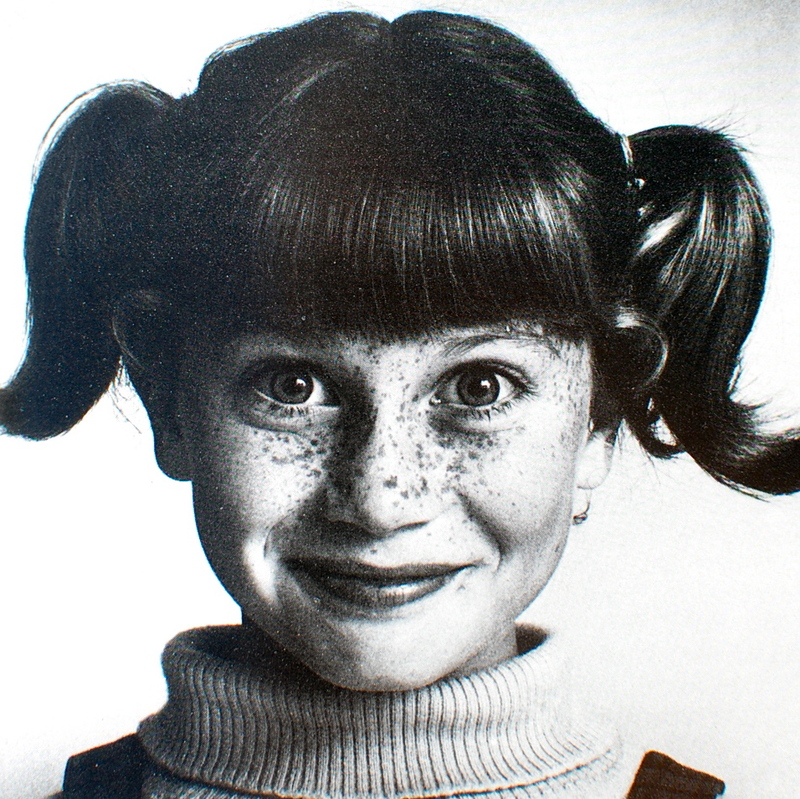 You walk up Third Avenue planning to buy a brownie at a bakery you've always been loyal to, and the bakery's gone. Your dry cleaner move to Florida; your dentist retires; the lady who made the pies on West Fourth Street vanishes; the maitre d' at P.J. Clarke's quits, and you realize you're going to have to start from scratch tipping your way into the heart of the cold, chic young woman now at the door. You've turned your back for only a moment, and suddenly everything's different. You were an insider, a native, a subway traveler, a purveyor of inside tips into the good stuff, and now you're just another frequent flyer, stuck in a taxi on Grand Central Parkway as you wing in and out of La Guardia. Every time I go back, I think about how I used to be able to glide through the city without thinking, without looking, how I probably could've negotiated the subway blindfolded. Eight years after my departure, I definitely have to keep my eyes open—and often glued to my GPS. Did I really live in New York before cell phones? Before Metrocards and Starbucks and 9/11? NYC will keep changing but I'll still have my matchbooks, artifacts from another age, proof that the city I lived in once really existed, even if it's now full of ghosts and shadows and unfamiliar subway lines. I come from the ’90s. Rialto was my hang. Didn't the waiters wear rollerskates? Many an expense-account lunch was consumed here. The Tall Ships: lost on 9/11. 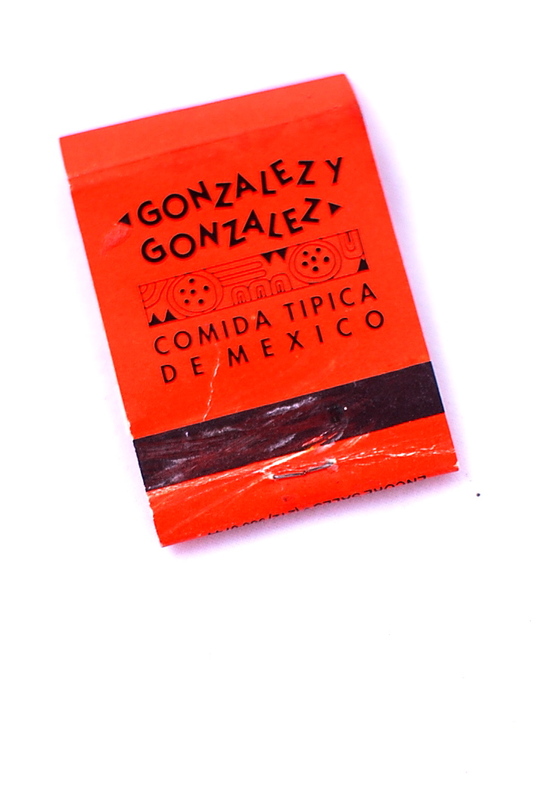 A handful of matchbooks advertising defunct restaurants, mostly in San Antonio. I don't collect matches. At least, I didn't think I collected matches until a few bags full of matchbooks resurfaced in my life after a recent closet avalanche. So I guess it's more accurate to say I never set out with intent to collect matches, but I ended up with a collection just by virtue of being a smoker and a New Yorker who warmed many barstools and dined in many fine restaurants and never could turn down a complimentary matchbook, especially if it was cute but mostly because I was always losing my lighter. I see a lot of matchbook collections on my estate-sale rounds; the graphics are so great and the establishments being advertised sound so awesome, it can be difficult to resist buying them. But usually I resist. I have my own memories in matchbook form—do I really need someone else's? The handful you see here are from two Ziplocs I selected at random from two laundry baskets overflowing with matches at a sale last summer. Somebody used to really get around! A lifetime's collection of matches. 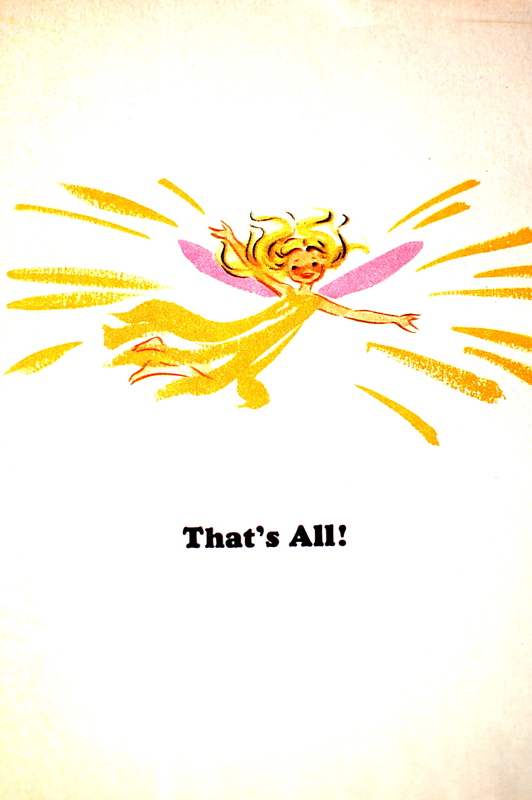 I've been mourning the ephemeral nature of ephemera on this blog for some time now, and most often the digital age we live in the culprit: Concert tickets, greeting cards, invitations, business cards, address books, etc., have all been outmoded. But we can't blame the slo-mo extinction of matchbooks on the interwebs ’cuz last I checked, fire had not yet been digitized—obviously, it's because no one smokes anymore. Okay, people still smoke, but they are (for the most part) no longer encouraged to do so, and judging by how my children react to the sight of some pathetic smoker, huddled in the cold for a furtive puff, I don't think the tobacco companies are going to have much luck seducing the next generation (seriously, my kids are ready to make a citizen's arrest of any smoker they see; I have to remind them that even when we're visiting the Nanny State of NYC, smoking is not actually against the law). I assume Red Bull, or some pernicious variation thereof, will be their version of smoking. But what a pity, right? Towers of Future Red Bull and its accoutrements will never have the panache of a serious matchbook collection. We used to keep ours in a large wooden bowl in the living room. My parents (not smokers) kept a container full in the kitchen. Lindsay remembers his grandparents having some sort of three-tiered platter—like the kind for serving those extravagant shellfish apps at your nicer brasseries—where they displayed their assortment of matches. My rediscovered matchbooks are still in a plastic grocery bag in the Closet of Doom. I've thought about displaying them in a jar or bowl but they're just another dust magnet and what if the kids take it upon themselves to burn the house down? I did photograph a few of the choicer ones, however, which I'll share this week here on the blog. Gail and Harold, was it a good marriage? Ashtrays are no longer my thing, but some are too good to pass up. Just checking in to say that I'm back from my Spring Break shenanigans and mostly recovered from the stomach virus that afflicted all four members of la familia while on the journey. I was oh-so-lucky to be the last one to succumb, on the morning of the flight back to Texas, and my advice to anyone who might find themselves in a similar situation one day: To keep yourself from barfing on your fellow airline passengers, don't eat, don't drink and don't speak. Keep your lips sealed shut. It's the only way. Anyway, I'm behind with everything right now. Behind with household nonsense, behind with the bloggery and the various arms of my retail empire, behind with running, just behind. But I'm getting back on track. I did manage to run eight miles today (I won't tell you how long it took me) and to hit a very excellent estate sale in my actual neighborhood. All estate sales in my actual neighborhood are awesome; it's why I live here. I got some cool stuff that I will share soon, but right now I am so preoccupied with something that I didn't buy that I think I'm going to have to stop writing about it and just go back and get it right now before it's too late. What if it's already too late? So this is the big score I was referring to last week. A big score that I didn't realize was a big score until I got over the initial sticker shock and consulted my trusty iPhone for some background on Ms. Babe Rainbow (seriously, how did people shop without their iPhones back in the day? I can't remember and I think it was only a few years ago...). She is twety-three years old and has broken her nose in the ring. She was born in New Cross, London and wrestles mainly in Europe and the USA as there have only been a few contests between lady wrestlers in London. She is the daughter of the notorious Doktor K Tortur. According to the description, Babe was commissioned by Dodo Designs and is the "first painting ever to be commissioned for reproduction as a picture on tin." Impressive stats that meant nothing to me in my previous existence, the one in which I was blissfully ignorant of Babe Rainbow and her potential value (like, how many of those 10,000 tin screenprints do we think have survived?). Suddenly acquainted with these facts, I had to decide: to go to the ATM or to let her go? Normally I write checks to estate-sale companies for amounts ranging from $15 to $30. I don't get into the triple digits except when furniture is involved and I've pretty much stopped buying furniture as our house has come to resemble a kind of showroom for weird, mismatched chairs. Since it was the first day of the sale, I decided to return the next day when the prices dropped and see if she was still there—then I could hem and haw some more, but I would have the kids with me and they would seriously cut into my hem-haw time. This is a wait that's usually fraught with anxiety. What if someone buys her for full price? Because according to what I'm seeing online, they've seriously underpriced it. But then, who would buy this besides me? But then again, who was the person who owned it in the first place? This is just the kind of surprise I like to find behind the door of a faceless suburban tract home. But maybe it wasn't so surprising—maybe there are tons of houses in San Antonio occupied by Pop Art-collecting baby boomers and I'm just not going to the right houses!? Normally, I would've gotten Lindsay to weigh in on a purchase like this, but he was in Mexico and apparently too busy to look at the photos I'd texted him till long after I left the sale. His (tardy) response was emphatic: BUY HER. Not a huge surprise that he would be partial to the portrait of wrestler who looks like Suzy Quatro. So, I went back the next morning, and there she still sat on a sofa, ignored by all shoppers. Should I have waited one more day for the price to drop by another 25%? The kids wouldn't let me: We want Babe! We want Babe Rainbow! they caterwauled, reminding me why I try never to shop with children: They are so irrational! Just like their father. As soon as he saw Babe in person, he put the kibosh on my flipping her for a tidy profit. Not that I don't love her—though she lends a man-cave vibe to the place that doesn't seem entirely appropriate—it just seemed so reasonable for me to sell her. That's what a real picker would do! Oh well, at least I don't have to cough up a few more C-notes to frame her. I didn't buy these adorable Valiant Walkie-Talkies because I assumed they wouldn't work. Walkie-Talkies never work, no matter how much we wish they would. I didn't buy this turntable because I have more turntables than I know what to do with. I didn't buy this stack of laserdiscs because—thankfully—that was one clunky, short-lived media format we never got on board with. I see a lot of tiny TVs and I always have to suppress the urge to buy them. For one thing, I've got at least one tiny TV tucked away in the guest-room closet right now, possibly more. For another, they never work (see walkie-talkies). But I do romanticize them; as a kid, I had a tiny grey Panasonic in my bedroom. I remember rising before dawn to watch the sham wedding of Charles and Diana on it (even on a screen smaller than your hand that dress was larger than life). I also took my tiny TV to college freshman year, and with the aid of the rabbit ears, was able to tune into Letterman every night. But nostalgia is no justification for purchasing a tiny, probably nonfunctioning TV, is it? No, it's not. It's always a bummer to see family photos at an estate sale, framed and forlorn, resting atop furniture for sale. If anyone buys them, it's for the frame, and presumably the photo gets tossed. I love my family, I love images of my family, but I can't get on board with the whole concept of covering every surface of my house—or a few large surfaces designated for this purpose—with framed family photos. In mix-matched frames, cheap or expensive, or matchy-match frames. I don't like it. The clutter! Maybe it's because I don't have a ton of surface space in my house. Which is maybe because all those tabletops and shelves are covered with books, I dunno. That may be extreme, but I realize this need to blanket one's living space—especially the public living spaces—with pictures of ourselves is not a Southern thing; it's a human thing that's dated back centuries, probably millennia, and that I'm the weird one (weren't there family portraits on the surviving walls of Pompeii?). I guess we had framed pictures sitting around my house growing up but they were engulfed by another form of clutter—tchotchkes—so they didn't really stand out. At my own house, you'll find a gallery of family photos in the guest room—which also serves a museum showcasing furniture from our past lives. (Not sure I'm being a very good hostess: I read in a feng shui book once that it's bad to display family photos in your bedroom. Or was it mirrors?) I've limited our main public display to one photo per family member, the four you see here, which I keep on top of the Telefunken stereo console that doesn't work, in the "formal" living room that no one really hangs out in since the cat died. 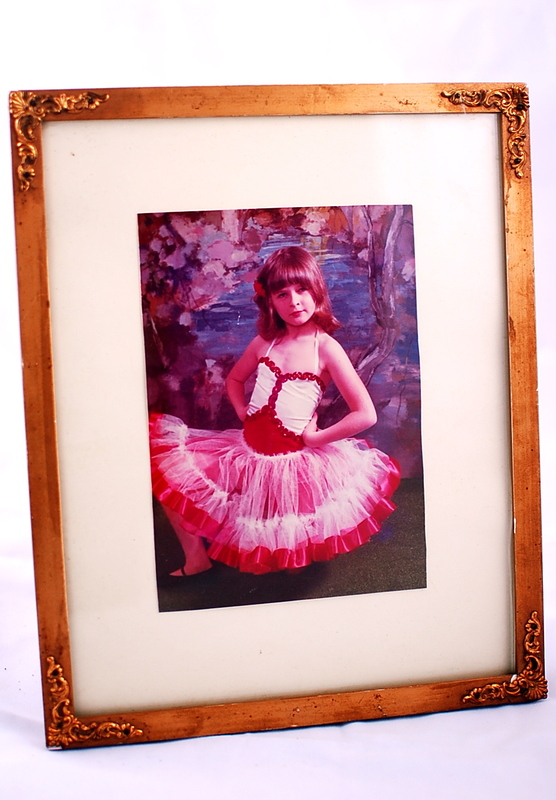 There's me, age 8, fierce in my Spanish dancing costume, the last year I was forced to attend dance school. 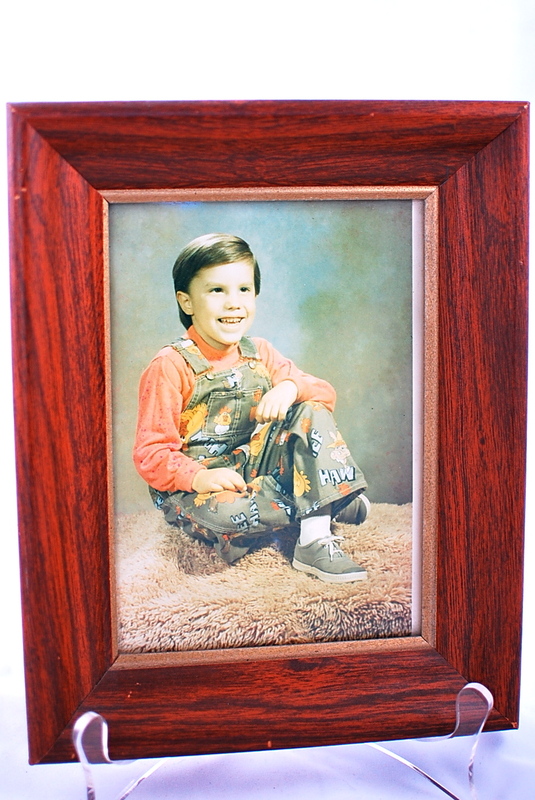 Lindsay the preschooler, in his beloved Hee-Haw overalls (really that picture is more about the overalls than Lindsay). 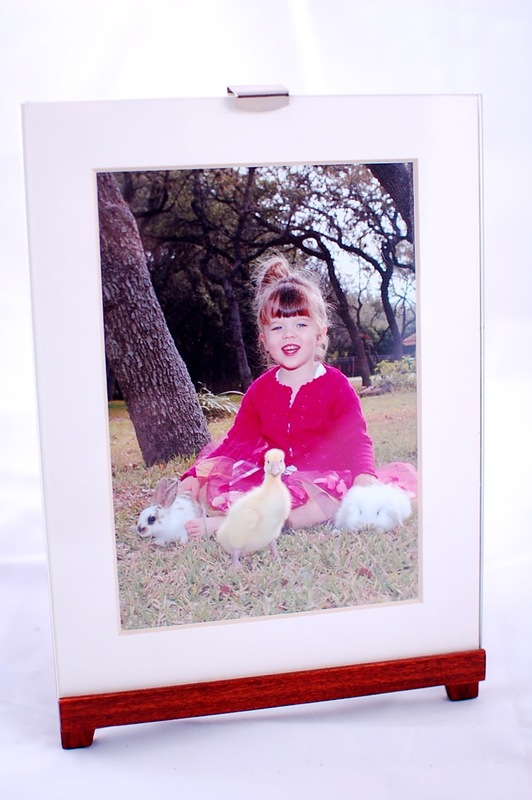 The older daughter at age 3, surrounded by prop bunnies and ducklings for an Easter portrait (yes, an Easter portrait! Who ever thought my kids would get formal Easter portraits?). 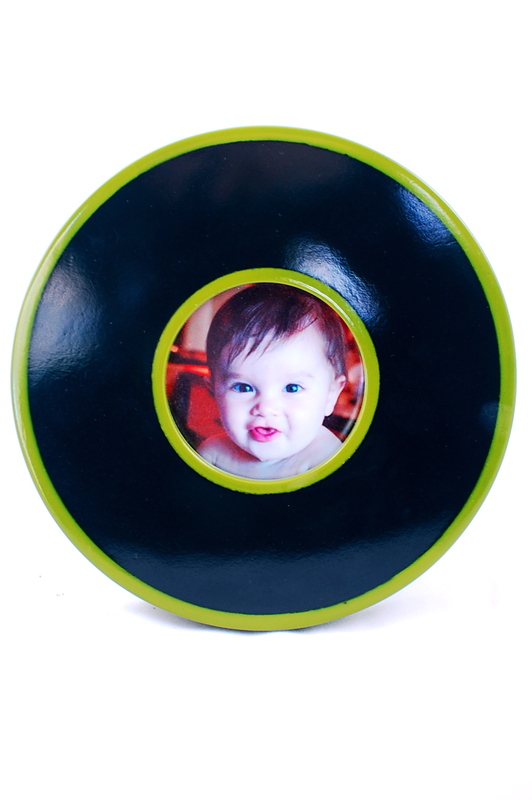 And the baby, as a baby, quite unrecognizable now but I thought she would feel left out if I didn't get her framed mug out there within a few months of joining the family. To this day, she doesn't acknowledge that photo or even believe that it's her. I'm never happy with the arrangement, I don't like the frames, and I keep thinking I need to switch the photos out for different ones, or at least update the kids' pictures, but then I can't commit to any. (I definitely don't need to be looking at updated photos of myself—happy to remain a pissed-off Spanish dancer forever.) Then I wonder, should I add more people? I mean, we have a ton of great photos, both ancient and recent. But if you add one grandparent or sibling or dear family friend, then you have to add all of them. And what about the pets? Should they be included? Live and dead? Or is it enough that they have a shelf in my office reserved for urns of their ashes, their collars and other relics? I know. So many questions on such a small matter. But that's how I roll, in case you haven't noticed by now. Here is a typical story from childhood: My father's secretary—yes, that's what they called them and she also took dictation and chainsmoked while doing so—had a hoarder mother (though that's not what they called them then), who passed away or was moved to a nursing home or both, but in different order, leaving her daughter to deal with the old house chock full of crazy. Naturally, our family would be invited to help out by picking through its wonders (who you gonna call?). I don't remember much about that day, mostly just the exhortations to be careful in certain rooms because "you might fall through the floor," which probably explains why my brother and I spent most of our time outside, in the shady overgrown rock garden, where we found several large rocks for our own garden (including one that looked just like an alligator), and picking through heaps of rubbish amid a few broken-down outbuildings. In one of these piles my brother unearthed this old 7-up bottle, which we both considered a tremendous score. For a time there, 7-up was cooler than Coke. They had great commercials, and it just seemed more grown-up, like a cocktail. This bottle stood proudly on a bookcase in his bedroom for many years, and I have no idea how it ended up accompanying me to Texas. I wonder if he wants it back? Am guessing not, especially now as he's in the middle of a classic NYC-style move, physically carrying his stuff from the old loft to the new one a few blocks away because it's too hard to find parking for his car in Brooklyn and the Man With the Van is too expensive/unreliable. The sort of lifestyle that would turn even the most unrepentant hoarder into a minimalist.